The University of Southampton is holding a special exhibition to commemorate 75 years since thousands of Basque children were evacuated from Spain to the UK during the country’s civil war. In 1937, 4,000 children made the journey by ship from Bilbao to Southampton to escape the fighting in Spain and were then sent to a temporary camp at North Stoneham, Eastleigh. Eventually they were either housed by charities, the church or families. This exhibition in the Hartley Library’s Special Collections Gallery* tells their story through photos, objects and their own testament of the time. It is also part of a number of events celebrating the University of Southampton’s 60th anniversary. Lecturer Dr Alicia Pozo-Gutierrez, from Modern Languages at the University, says, "The children left their homes and sailed across the stormy Bay of Biscay to Southampton. Everyone thought they would only be away for three months. In the event, many had returned home by 1939, but around 250 were still in Britain in 1945 and most of these went on to make their lives here." Dr Pozo-Gutierrez has been studying the history of the children or ‘niños’ for many years and together with the Head of Special Collections at the University, Professor Chris Woolgar, she has worked on a Heritage Lottery Fund project to create an oral history of their experiences, a travelling exhibition – which toured Hampshire, and most recently a book. 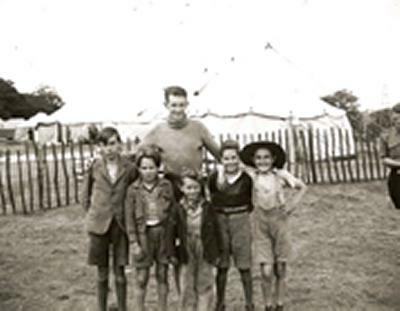 Many of the surviving evacuees are now in their eighties and will be reunited at a special 75th Anniversary weekend of events (12/13 May), organised by the Basque Children of 37 Association and the University of Southampton. This will include film screenings, discussions and presentations by students and film directors.